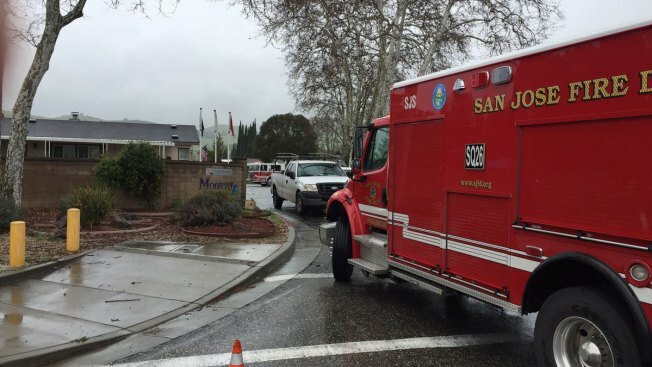 San Jose fire crews respond to a gas leak off Monterey Highway in South San Jose. Monterey Highway was shut down in both directions as San Jose police and PG&E investigated a gas leak Thursday afternoon. San Jose firefighters asked residents to avoid Monterey Highway and Bernal Road. Northbound and southbound lanes on the highway were shut down at Monterey Circle for about 80-90 minutes, according to officials.